When I decided to go to Ann Arbor, Michigan for a weekend to see a family friend’s dance competition I began my research. The usual sights came up. Visit the University of Michigan campus. See the Ann Arbor Hands-On Museum. Check out the University of Michigan Museum of Art or Museum of Natural History. Sure these sounded fine, but I was looking for something different. Imagine my excitement when I stumbled on the Ann Arbor fairy doors! What Are The Ann Arbor Fairy Doors? The Ann Arbor fairy doors, much like the fairies themselves, are shrouded in mystery. 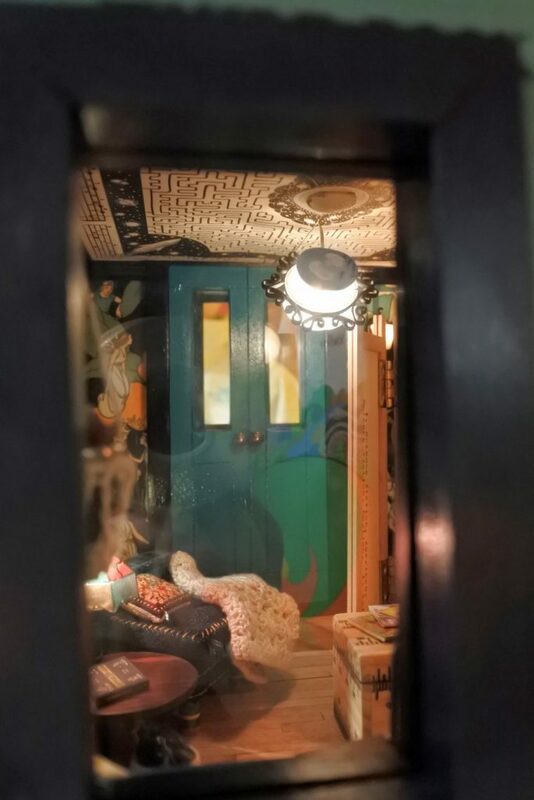 In 1993 the first Ann Arbor fairy doors were discovered in the home of Jonathan and Kathleen Wright. Public fairy doors were noticed many years later (around 2005). The information I found was often incomplete or imprecise. I continued to research the doors. Elizabeth and I decided to make a goal to find as many fairy doors as possible within about one mile of our hotel near the University of Michigan campus. 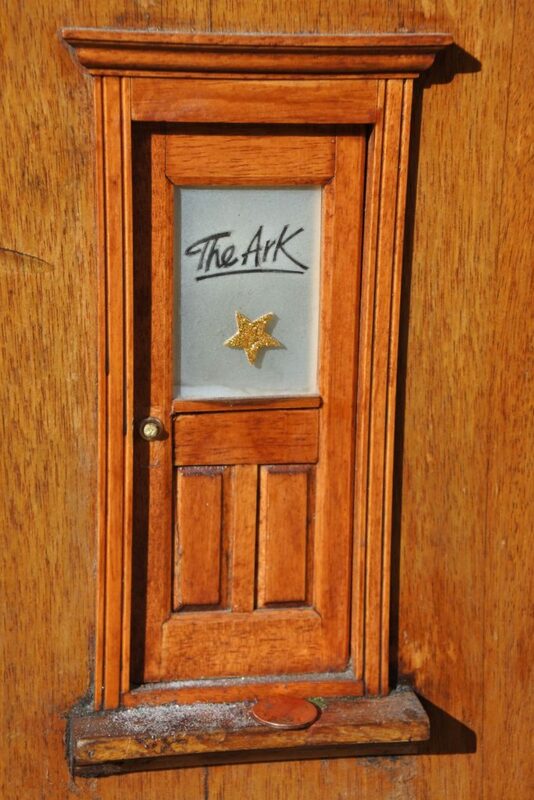 Where Can I Find Ann Arbor Fairy Doors? 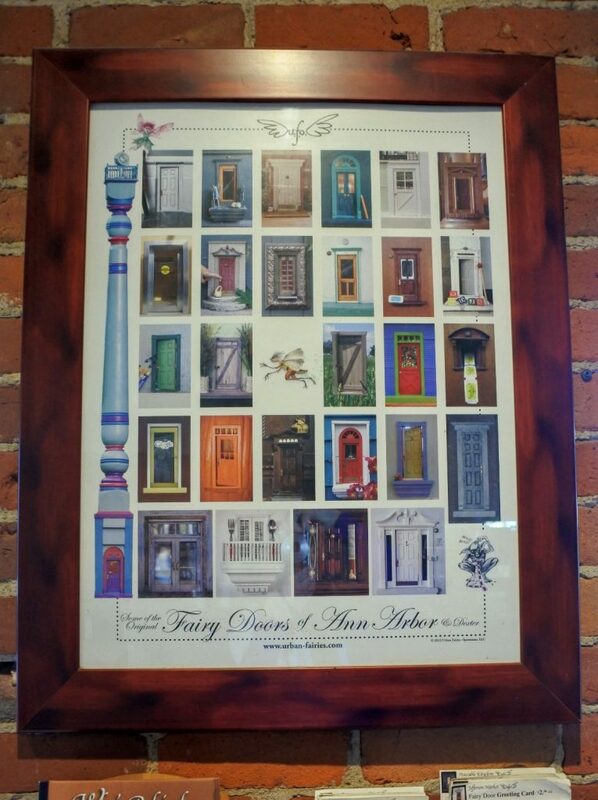 Procuring a full list of Ann Arbor fairy doors is incredibly difficult. Based on my online research and personal visit I have made a custom map below to assist in your adventure. 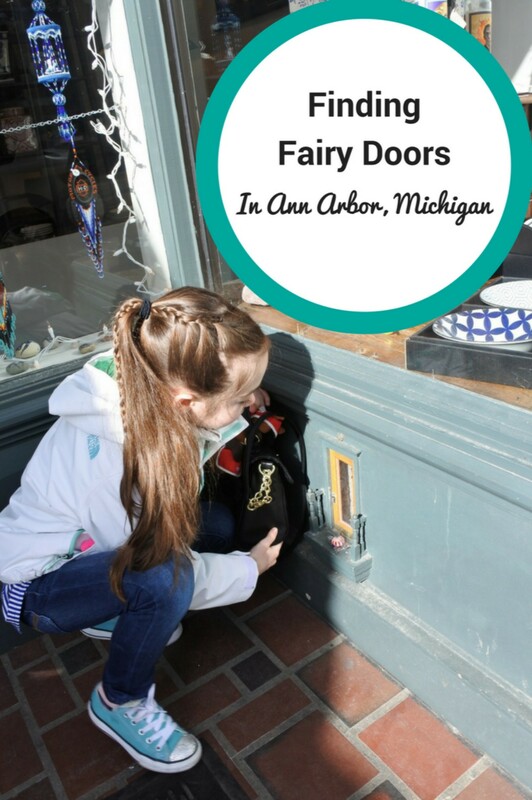 Our Ann Arbor fairy door search day was beautiful and sunny. The Ann Arbor District Library located at William Street and 5th Avenue was our first stop. 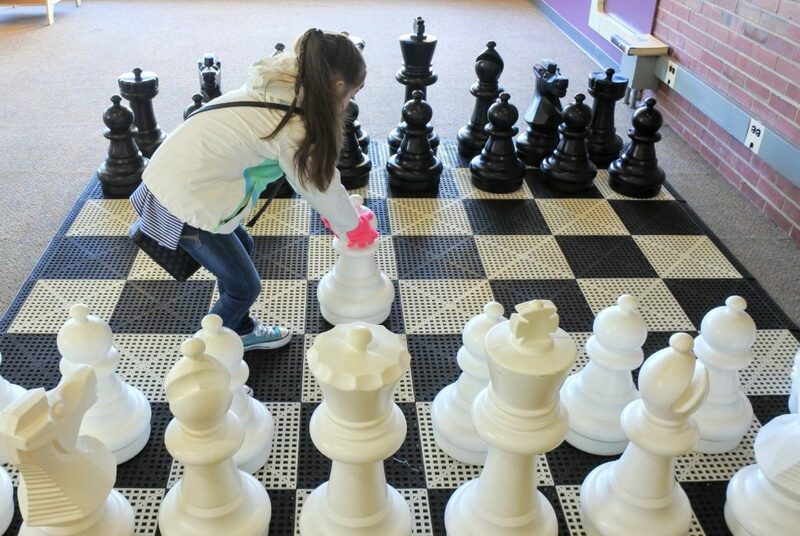 Unfortunately, we were immediately distracted by a huge chess board inside the library. Okay, now it was time to search for our first Ann Arbor Fairy door! 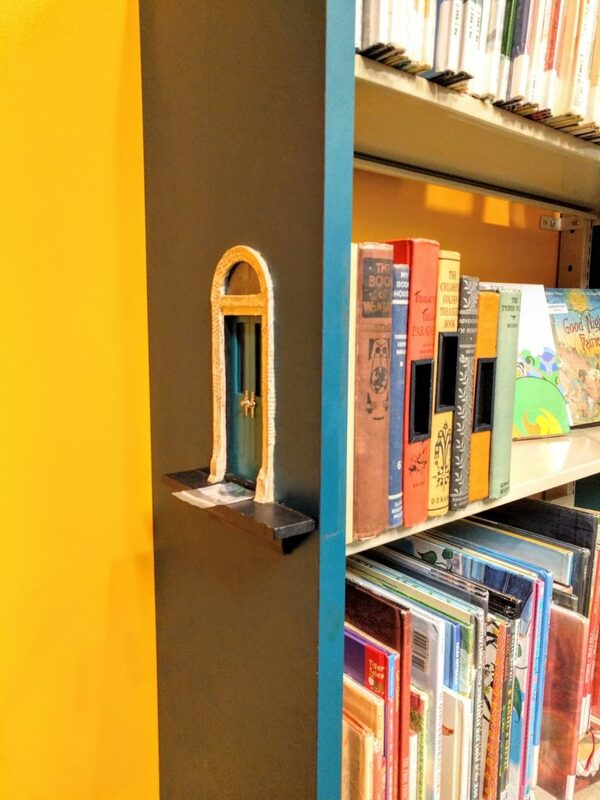 Find this door in the Youth Section of the library at the end of the Fairytales and Folklore section. This adorable fairy house had so many details. This fairy door was extra special because you could see inside. There were bookshelves, a lounge chair (with cozy throw), a teddy bear, a desk and some lamps in addition to other items. The amount of detail inside this fairy home was fascinating. Next stop on our walk was The Ark. Before even reaching The Ark, we stumbled upon a whole fairy village at the corner of 4th Avenue and William Street which we had to investigate. 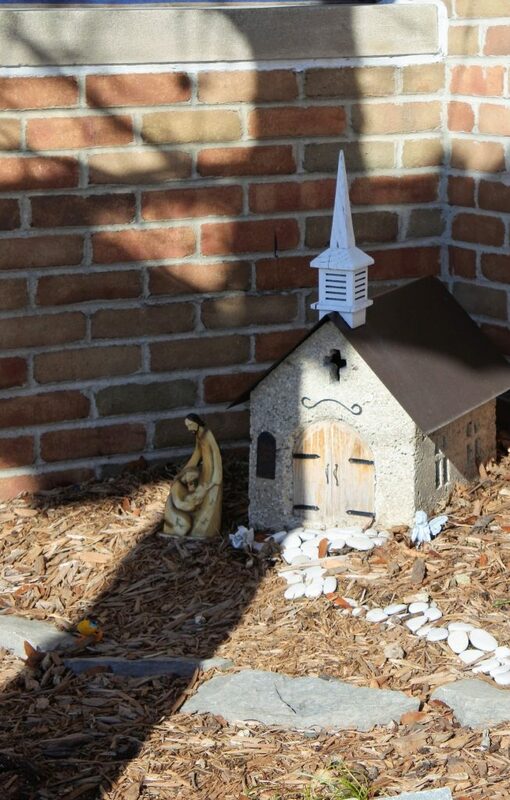 There were homes, a church, gazebo and other decorations. 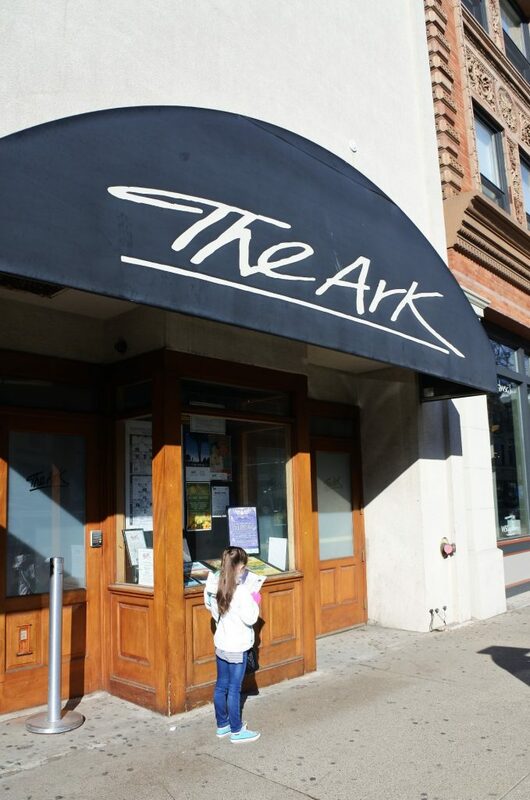 The Ark is a folk music venue located at 316 S Main Street. This Ann Arbor fairy door is outside of the venue. Therefore, you do not need a ticket to look for the door. Find this fairy door on the left side of the ticket booth inset into the larger door. If you look closely, you can also find a fairy ticket window under the old ticket booth. 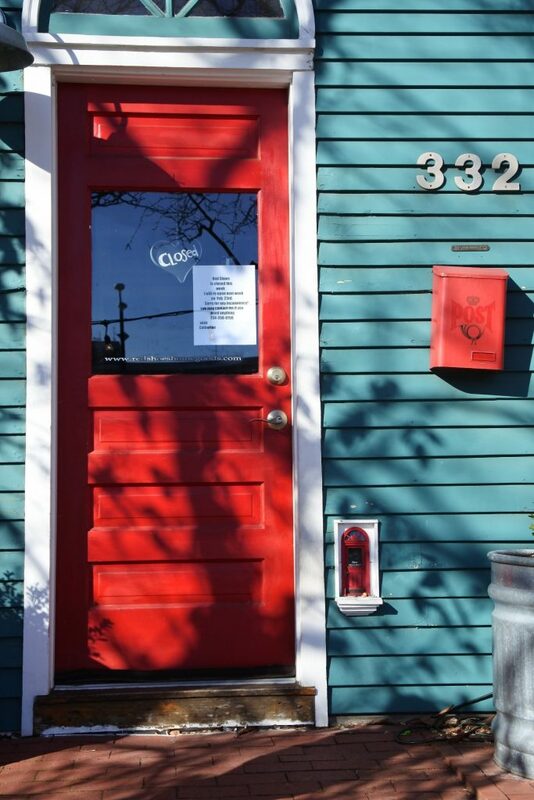 The bright red fairy door located next to the human entrance at 332 S Ashley Street was very easy to spot. 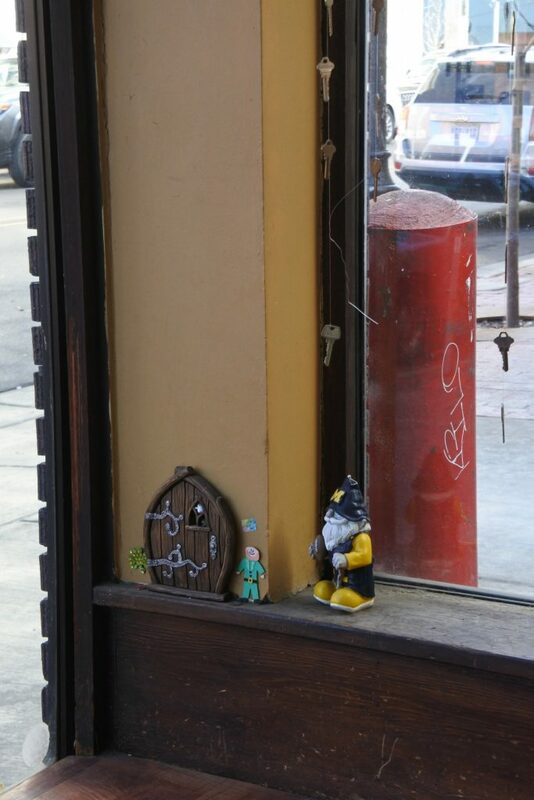 Unfortunately, the shop was closed on the weekend we visited so we were unable to see the inside fairy door. Make sure to look at the next door neighbor’s yard. 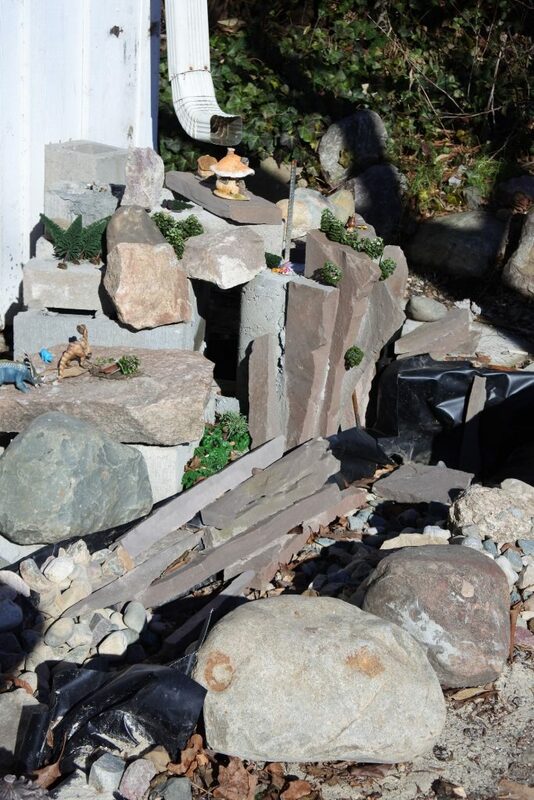 There was another elaborate fairy garden in front of this home near the sidewalk. There is more than one Sweetwater’s in the Ann Arbor area so it is important you go to the one at South Ashley Street and Washington Street to find the fairy door. 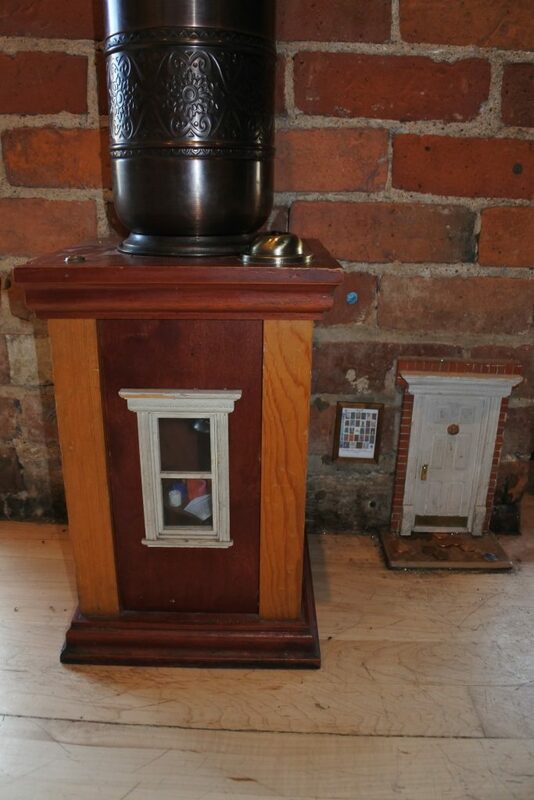 Find this fairy door (and small kitchen) just past the counter along the right hand wall. Look for this large framed poster and the door will be found just below. This worked out well as a halfway point. We were able to locate a fairy door and get some refreshments! Although not technically a fairy door you can find this “mystery door” just inside the left store window. We happened to be walking past 113 W Washington Street and it caught my eye. I went into the store to find out more about the door. The staff calls it a mystery door since they are unsure if it is a fairy that lives there. 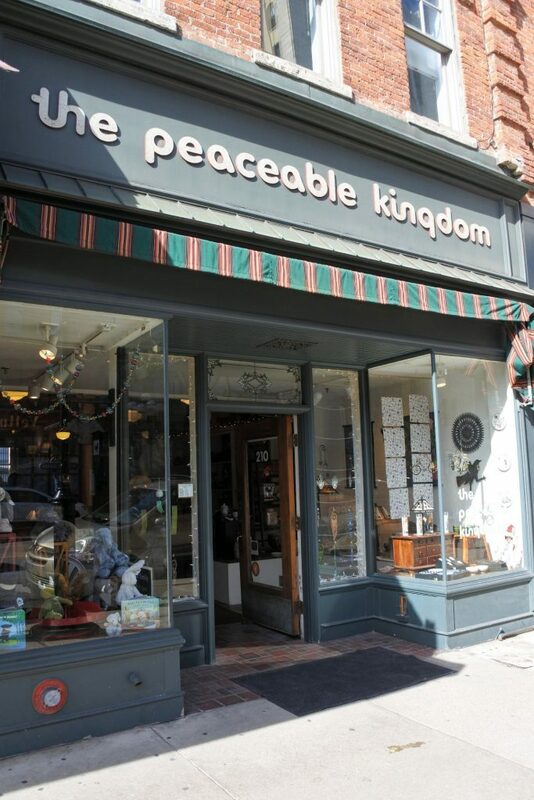 Update: The Peaceable Kingdom store has closed. 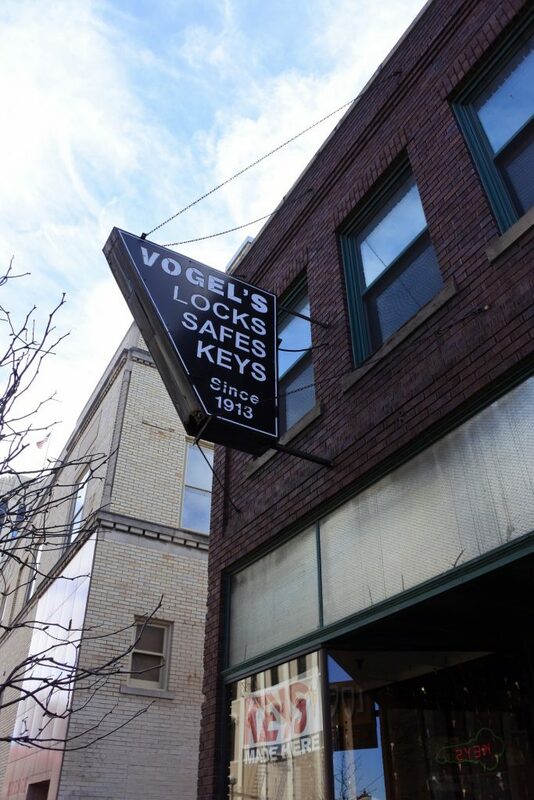 This store is located at 210 S Main St, Ann Arbor. The Peaceable Kingdom fairy door although not the most ornate from the outside provided the most magnificent look of the inside. 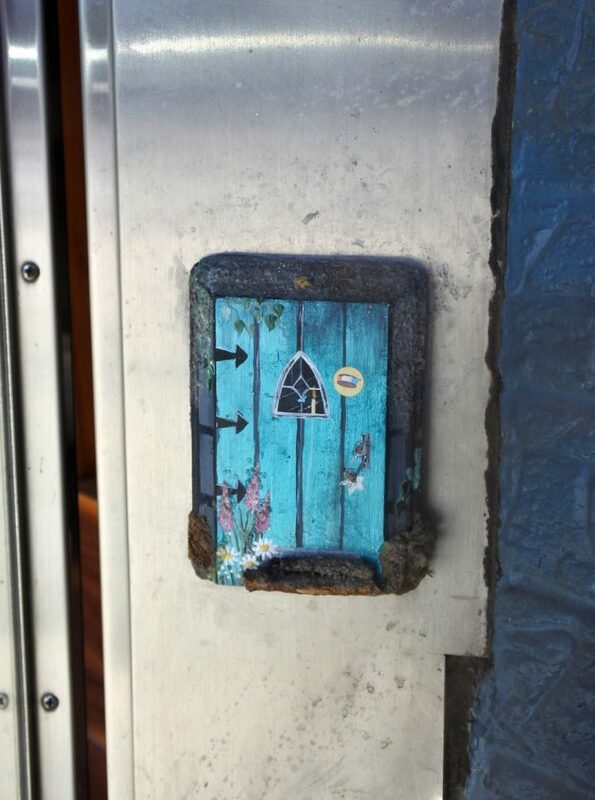 You can find this Ann Arbor Fairy door to the right of the main entrance. From here if you enter the store, turn to the right and you will find 2 windows just above floor level. 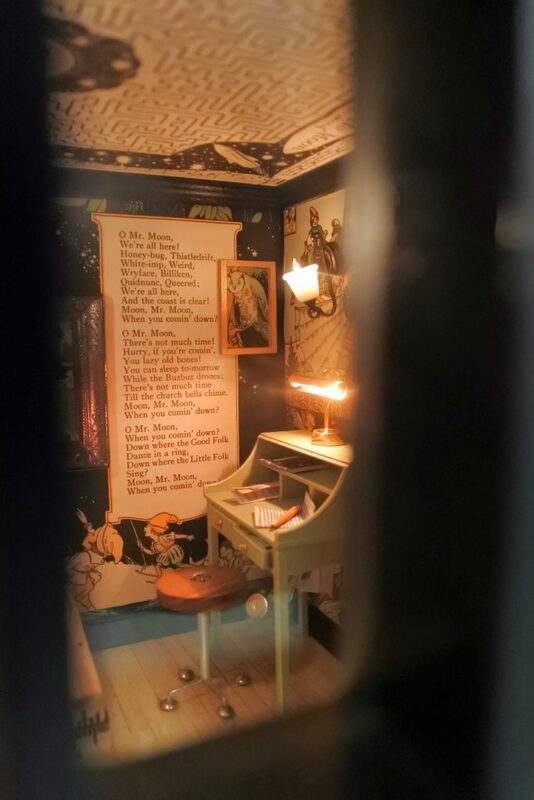 Through these windows you can peer into the most amazing fairy workshop. This restaurant is located at the corner of Liberty Street and Main Street. 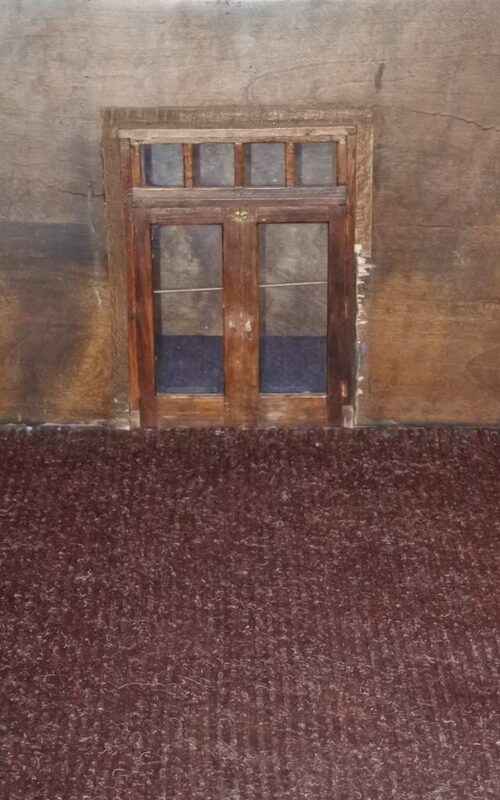 Although not on the official list of fairy doors we found this mystery door just to the right of the glass entrance. Elizabeth and I had a little trouble finding this fairy door at 603 E Liberty Street. I think it may have been that the wooden double doors blended in so well with the theater. Eventually, with help, we found the door. You can find the door to the right of the ticket booth. 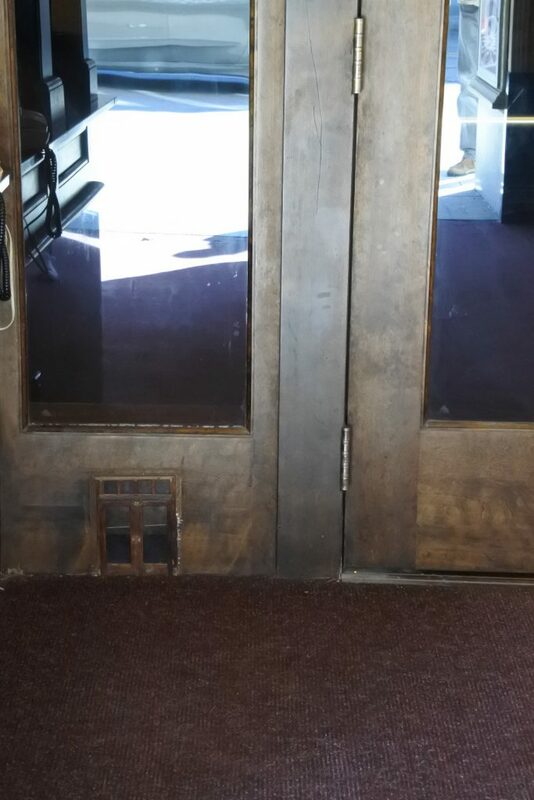 The fairy door is in between the booth and the right hand entrance doors to theater. This was a really fun way to spend some time in Ann Arbor with Elizabeth. 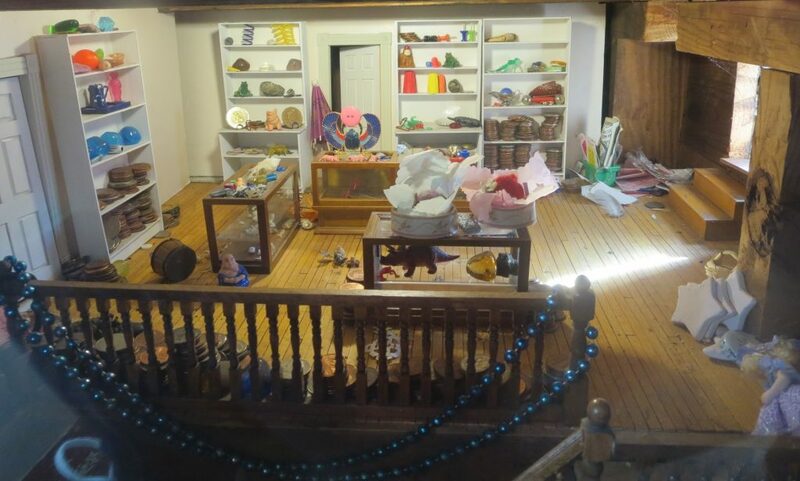 It prompted us to look around to see not only fairy doors, but adorable shops and restaurants. 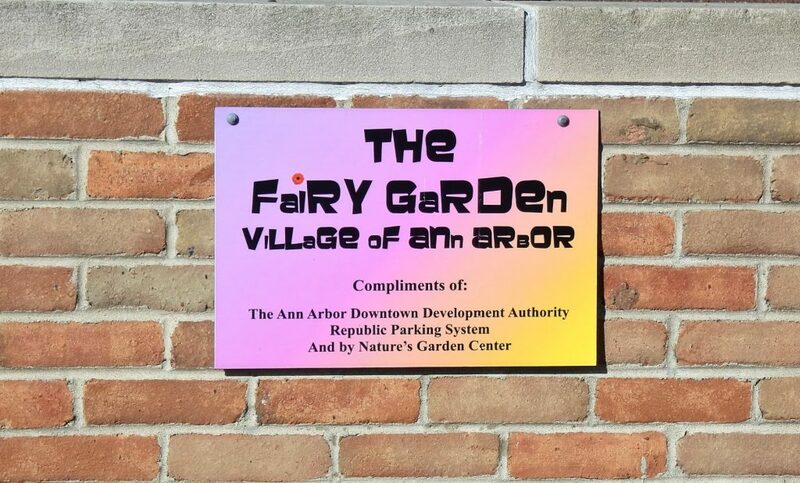 Ann Arbor is certainly a fairy friendly city. Most locals were very excited to talk to us about the doors. Some were happy to help us find one if we were having trouble. I can see why there are so many urban fairies who reside here. Happy fairy door hunting! Please comment if you find others that we missed. I’m glad this article is helpful! I was surprised how many fairy doors were located in just a small area. Not too much walking even for little legs 🙂 Hope you enjoy Ann Arbor. She absolutely was! She was especially interested in the ones where you could see inside. The detail was stunning.